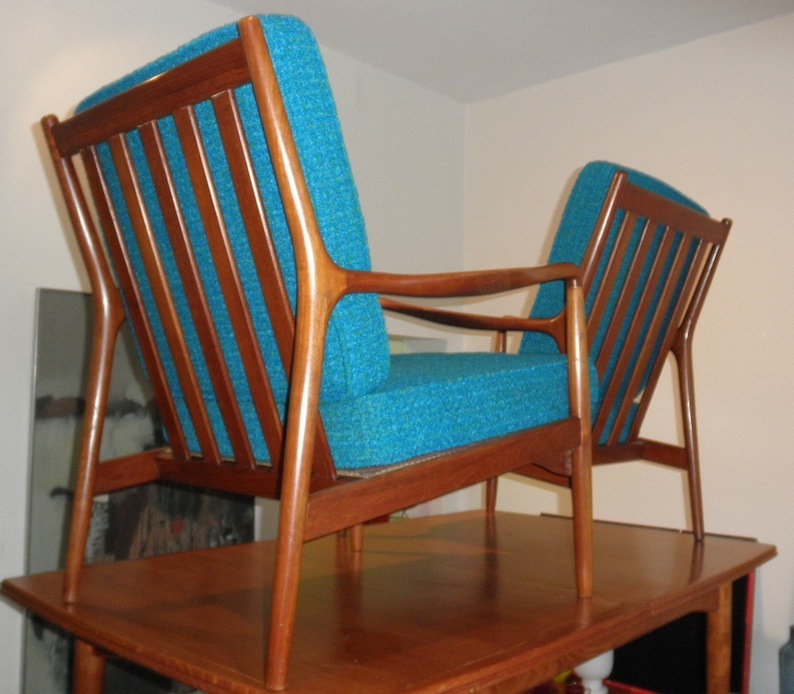 This pair of teak framed lounge chairs have been taken apart and re glued, had the cushion covers unpicked and high density foam inserts replaced then re-sewn by hand by our upholsterer. The original wool isn’t perfect but is such a great weave and colour that we have left them original. The teak used in these chairs is amazing and the sinuous design is just so well conceived compared with local Australian made chairs of the era. 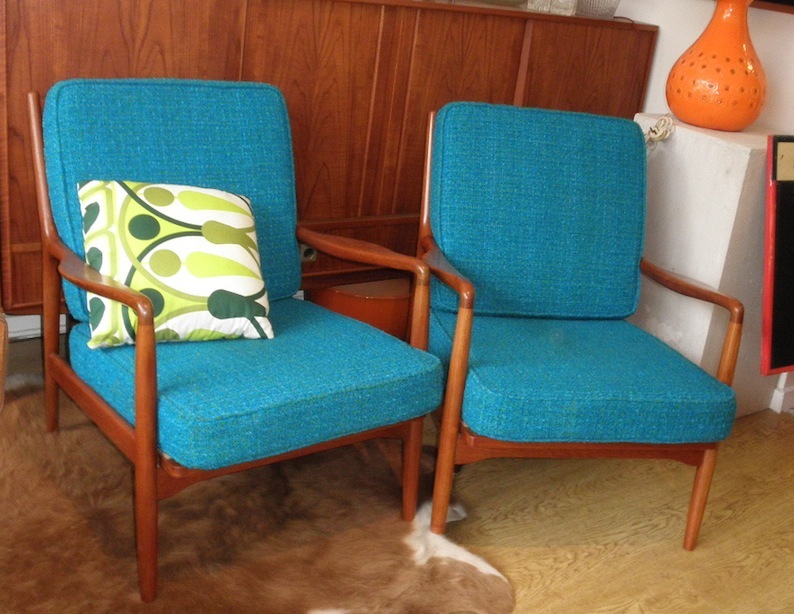 These are an outstanding pair of mid century modern chairs and comparable with most of the Danish furniture of the era while most importantly being really comfy. 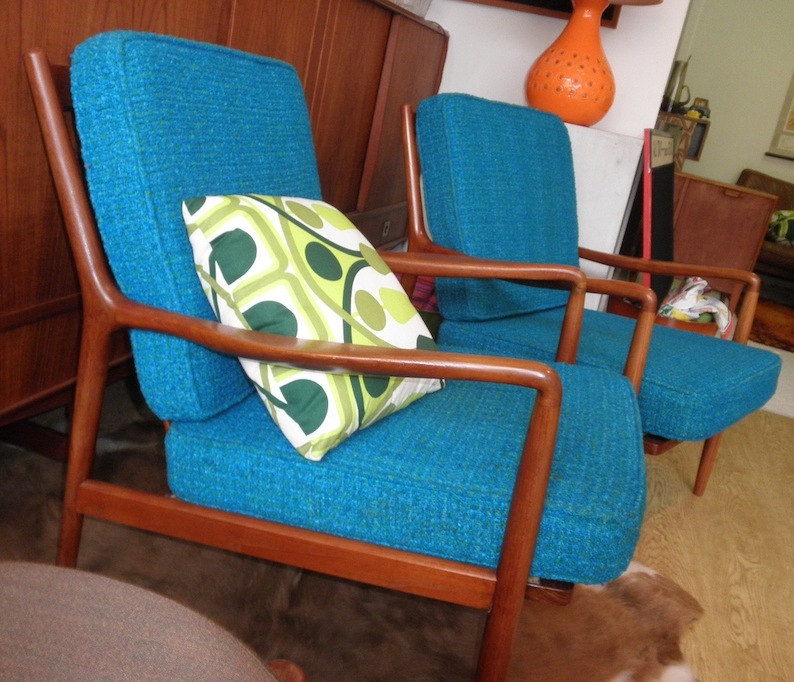 We can have them reupholstered in a colour and fabric of your choice if the wool is too loud also- contact us for a quote.